I think I’ve died and gone to lemon candy heaven!! 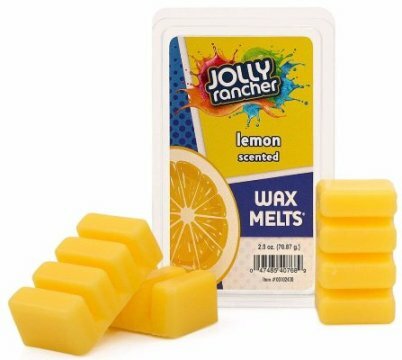 I don’t think I’ve ever tried an actual Jolly Rancher lemon candy – and I’ve tried them all – but if it tastes anything like this wax smells, I would be very happy. These melts smelled like the sweetest lemon drop candy. I’m not kidding, it smelled EXACTLY like lemon drop candies. So realistic, I swear I could almost taste it. LOVED!! Tart, zesty lemon and sweet candied sugar. Yep… that’s what I smelled and as a lemon lover… it was pretty close to perfect. I equally divided the entire clamshell pack into two separate electric melters in my great room and waited for the magic to begin. Five minutes in and the aroma of sweet lemon candies drifted through the entire upper level of my home. I smelled sweet, sweet lemon candy with lots of sugar!! I don’t think this scent smelled like the classic lemon drop candies since it wasn’t as tart, but boy was it sweet and sugary and I loved every second of it. I have to add this. My youngest son had to put in his two cents too, LOL!! He swears this scent smelled like PEZ candy and not just lemon but all PEZ universally. He swore on his expertise as the ultimate candy connoisseur. Ha ha! I’m not so sure about that but I didn’t want to argue. 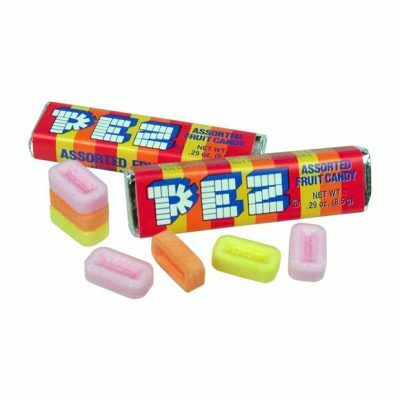 🙂 He said PEZ, I say lemon candy. Sweet and perfect lemon candy. Strength – I would rate this scent a 10 out of 10 in any size room. It’s a room filler and as an avid lover of all things lemon… I couldn’t get enough of it. I definitely recommend these melts if you love sweet lemon scents… or PEZ. 🙂 It’s a winner, plus, the price is right at $1.99. Visit Candlemart.com, the official site that carries all Jolly Rancher melts and candles! Count me in as another lemon fan, Christina!! Your description had me tantalized. I just ordered these melts for me, along with the Twizzlers, Whoppers, York Peppermint Patty and Watermelon Jolly Ranchers melts for my movie buff friend’s movie themed Christmas gift basket. I was wondering what to get her this year, and you’ve provided me with the answer by referring me to Candlemart.